In 1970, Yahya had been overseeing the end of yet another bout of military dictatorship in Pakistan, which has a history of swinging between dictatorships and democracies. In the last year, growing agitation had the Pakistani people definitely siding with democracy. And so, Yahya had scheduled general elections in December 1970. In West Pakistan, emerging politician was the firebrand Zulfikar Ali Bhutto, and in the East, it was Sheikh Mujibur Rahman or Mujib, an embodiment of Bengali aspirations. What Yahya and his generals were hoping for was a splintered verdict, something that would let them call the shots from behind the scenes. Instead, they and everyone else was shocked by the results that threw up Mujib with a clear majority by sweeping the entire East Pakistan with 160 out of 162 seats. Meanwhile, military’s own choice Bhutto had limped with only 81 seats out of the 138 in West Pakistan. Not only was the verdict a complete reversal of traditional Pakistani politics, it was also split right down the line between the two wings of the country – perhaps, in itself spelling doom for Pakistan’s unity. Now the generals had to deal with the possibility of Mujib – a Bengali no less – dictating the terms. This, of course, was unacceptable to them. They began putting their weight behind Bhutto and derailing the political negotiations. Both sides clung to their own agendas and the showdown was not long in coming. After three months of political bickering, Yahya had had enough. On 25 March 1971 he ordered Operation Searchlight – a military crackdown on the entire Bengali leadership and its supporters. Within a week, thousands of students were arrested in Dhaka, Mujib and his colleagues rounded up and shipped to Islamabad, and the Bengali military officers and units disarmed. Overnight East Pakistan turned from a part of the Pakistani nation to an occupied territory. It was in this chaos that a couple of Mujib’s colleagues – Ahmad and Islam – slipped out of the country to seek refuge in India. New Delhi had been watching the developments in East Pakistan with apprehension for many months. Initially young Prime Minister Indira Gandhi had been reluctant to get involved in what she saw as an internal matter of the Pakistanis. Any attempt to get embroiled in that country would only end up in trouble – both in terms of international scorn and Pakistani revenge. Moreover, this Mujib character did not seem entirely reliable and there was no guarantee that he wouldn’t later turn on India and partner up with someone else like China or United States. Hence, Indian policy had been to wait and watch – so far. But with the appearance of refugee political leaders of East Pakistan at its doorstep, Mrs. Gandhi was forced to review her policy. Some Indian political leaders like Jayprakash “JP” Narain (who will become Gandhi’s arch-nemesis three years later) had been clamouring for Indian support to the Bengalis. Now with Ahmad and Islam here, the matter had been brought to fore. Finally New Delhi relented and let the escaped politicians form a provisional government on its soil. Additionally, plans were drawn up to provide the Bengalis arms and training to form an insurgency group – eventually called Mukti Bahini – that could harass Pakistanis within their borders. 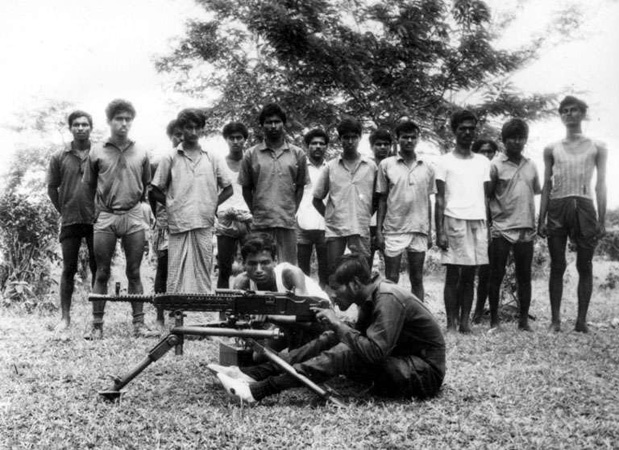 The core of this group was to be formed by the Bengali soldiers of Pakistan Army, who had slipped out of their country after being pre-emptively disarmed by their commanders for the fear of mutiny. Surrounding that core would be the Bengali youths recruited from refugee camps that were beginning to appear on Indian side of the border. It was these refugees, who quickly became the crux of the whole matter. For the Pakistani Military had moved from a political crackdown to outright genocide. It is unclear whether Yahya ordered a full-scale genocide on his own people or whether things got out of control on the ground. Either way, the Pakistani Army turned its guns on the unarmed Bengali people. A diplomat in Dacca noted that military was systematically killing Awami League supporters “by seeking them out in their homes and shooting them down.” Another reported that there was a “veritable bloodbath taking place in East Pakistan with literally thousands already slain.” And these reports were only within a week of the beginning of the operation. The number of deaths climbed much higher as the massacre continued non-stop for the next seven months. Even today, we don’t know exactly how many were killed but the number was definitely somewhere in hundreds of thousands. As the killings increased, so did the refugees fleeing to India for their lives. People from all walks of lives left their homes to escape the horrors unleashed upon them by their own government. What was a trickle in March, became a stream in April and by the end of the month it was a flood. By the end of May, 102,000 refugees were coming into India daily. That is 71 refugees per minute! Worse, this figure was only going to go further up. In June alone, close to 30 lakh refugees or 3 million were going to come into India. Eventually, this figure will reach the staggering figure of 10 million. The magnitude of this figure is so astounding that it quickly stops seeming real. But it was. 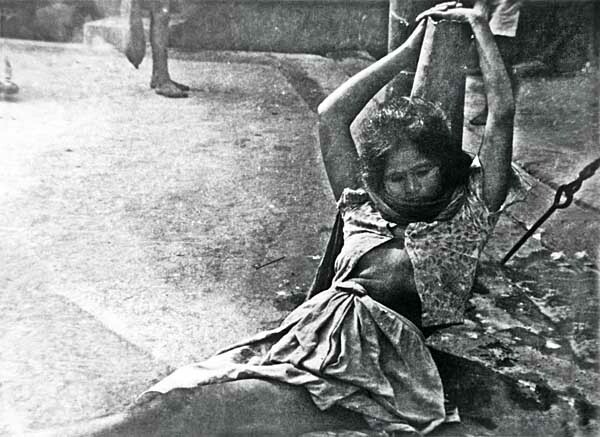 The sheer scale of atrocities being carried out in East Pakistan was becoming comparable to Stalin’s Great Terror. The Indian border states were quickly overwhelmed by the size of refugee influx. By July, India’s small state of Tripura had a million refugees, when its own population was only 1.5 million. Unsurprisingly, the refugee camps quickly became infested with disease, crime and destitution. Indian Government was running out of resources to even guard the refugees, let alone help them. The cost of refugees was beginning to strain the Indian economy. Moreover, there was an even more sinister trend emerging. The composition of refugees was changing. By April end refugees coming were 80% Hindus and 20% Muslims, the inverse of East Pakistan’s population demographic. Clearly the Hindus were being targeted by the Pakistan Army. It seemed as if a political genocide had slowly metamorphosed into a communal one, without any real reason for it. To the Indian Government, this was so disturbing that it was quickly hushed up, lest it flare up revenge communal riots in India. Until now, India had been hesitant in getting involved in the war. This was not due to the Chief of Indian Army Staff Sam Manekshaws refusal to Indira Gandhi, as is often mythologized, but due to the concern over international reaction. Even after India had given Tajuddin Ahmad space for setting up a provisional Government of Bangladesh, it hadn’t really extended much support beyond that. The plans to train and arm Mukti Bahini had largely remained plans, with only some help trickling in. But, by the end of May, New Delhi had had enough. Along with the mounting logical reasons for intervening, there were personal ones as well. Reportedly, Indira Gandhi’s visit to refugee camp in mid-May had left her “so overwhelmed by the scale of human misery that she could hardly speak.” And so India had decided to shift its goal to getting the genocide stopped. Refugees must go back – became Delhi’s top priority. This, of course, did not mean going to war. “We do not want war,” Indian foreign minister explained to his diplomats. Instead the strategy was to build international pressure on the Yahya regime to stop the atrocities and restore democracy.”Our ultimate objective is that this military regime must give way to a regime which is truly representative of the Awami League [Mujib’s party].” What New Delhi needed was to get other countries together in condemning Yahya. India began sending its emissaries to world capitals – Moscow, Bonn, Paris, Ottawa, London, Tokyo, Canberra, Colombo, Tehran, Belgrade, Warsaw, Cairo and, of course, Washington. It seemed an obvious enough line – Pakistan is carrying out genocide of its own people of horrific proportions. India is bearing massive economic and human costs for it. All this must be stopped, and can be, bloodlessly, should all countries in the world unite to pressurise Yahya Khan. To anyone alive today – in the aftermath of Mubarak, Qaddafi and Milosevic – it would seem like a possible task. Today, even the dictators like Assad and Kim Jong-il, who do get away massacring their own people, have to pay a terrible price of it in terms of international scorn and sanctions, something that Yahya could not afford. But getting the world to sanction Pakistan was going to prove an impossible task for Mrs. Gandhi. 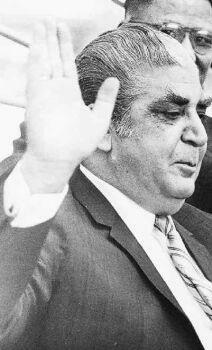 Because Yahya Khan had the backing of the most powerful man in the world – the President of the United States. Sources: This post is primarily based upon two recent books – Srinath Raghavan’s 1971: A Global History of the Creation of Bangladesh (2013) and Gary J Bass’s, The Blood Telegram: Nixon, Kissinger, and a Forgotten Genocide (2013). These books tap into the treasure trove of declassified material on this topic now available on both Indian and American sides. Other sources used are: Afzal, M. Rafique. Pakistan, History & Politics, 1947-1971. Oxford University Press, 2001; Bundy, William P. A tangled web: the making of foreign policy in the Nixon presidency. Macmillan, 1998; Nihal Singh, S. The yogi and the bear: story of Indo-Soviet relations. Mansell Pub. (London and New York), 1986. I have also used a couple of declassified files from the National Archives of India to get my statistics straight. This entry was posted in 1947-, 1971 war, Foreign Policy, India's Wars, Indo-Pak, Mrs. Gandhi and tagged Bangladesh, East Pakistan, Genocide, Mujibur Rehman, Refugees, Tajuddin Ahmad, Yahya Khan. Bookmark the permalink. First of all, this is a brilliant blog. Kudos for your effort. I am also very much interested in the war of 1971, So would like to make some suggestions. 1. While you mention about the book “The Blood Telegram” as one of the sources for the blog, you miss out on the explicit mention of “The Blood Telegram”. That document clearly showed how even wiser Americans knew that they were on the wrong side of the war. Even Archer Blood deserves a mention in your blog for the effort he made. 2. While this is a lesser known fact, but India staged a hijacking of its own passenger plane Fokker F27 friendship named “Ganga”. This was done before the war broke out, to ban the Pakistani planes from flying over the Indian territory. Thus, increasing their time and transportation cost considerably.This seems to be the finest and perfectly executed operation of the Indian Intelligence ever. This helped India immensely in the war and , I personally feel, deserves a mention. 1. I do admire what Archer Blood did, and he probably does deserve an honourable mention. But I chose not to mention him because I felt that in a larger scheme of things Blood played a very small role. In my opinion, Bass’s book exaggerates significance of the Dhaka consulate. 2. While I have heard of this theory as well, I have never found a reliable source corroborating it. Moreover, it would make little sense for Indians to go through all this trouble just to shutdown their airspace to the Pakistanis, which is a relatively straightforward act and usually does not require sovereign nations to manufacture such elaborate pretexts. On top of it, the chronology doesn’t match. The hijacking happened in January. This is full two months before the crackdown even began. And we now know through Indian documents that India hadn’t decided to go to war until late August, early September. But I do appreciate feedback from someone who is so intimately familiar with the topic. I would surely like to hear from you again. I totally agree that the chronology doesn’t match in case of hijacking. But with the luxury of hindsight, when we look at the larger picture and a bit of conspiracy theories, things to seem to fall in place. Below is a purely subjective view, an amalgamation of some facts and conspiracy theories. After the bitter partition, both the countries turned very bitter foes. No one spared any effort to destabilize the other. Forward to the late 1970, the ‘Bhola’ cyclone struck East Pakistan and parts of India. Due to the animosity, India didn’t pass the prior information of the cyclone. This led to a catastrophe in East Pakistan and landslide victory of the Awami league. During the relief operations, India didn’t allow the Pakistanis to use the Indian airspace for transferring the relief materials from west to east. India received considerable flak for this. With the Americans under Nixon clearly siding with the Pakistanis, India could not have kept its airspace closed for long. And mind you, that was India of 1970 and not of 2014, resisting western pressure wasn’t easy. With a brilliant foresight of the aggravating crisis in East Pakistan, Indian intelligence agencies might have planned this hijack to easily resist the western pressure and increase the problems for Pakistan. As it was a covert operation, it was not and will never be acknowledged. But one thing is clear that India did it. All the events link it to the war of 1971. But if you find any other reason behind it, I am all ears. Where are part 3rd and 4th? I really like your articles. Unbiased historical reporting are hard to find. Kudos. I also could not find a 3rd and 4th part. Its been two years and no one could be reading the comments but could you please publish those?